As a Registered Investment Advisor we serve as a fiduciary, with a legal and moral responsibility to act in our clients' best interests. Before managing any assets, we get to know you as a person--not a portfolio. Because our focus is on meeting your goals, we need to learn your history, your family make-up, your hopes and dreams. We also need to know your fears, and the uses � short and long-term � you have planned for your wealth. We do not take possession of any of your assets or act as a custodian. Instead, we use Fidelity Investments to provide this function, although we can work with other custodians at your request. If you wish, we can recommend tax and estate planning attorneys or accountants. Your needs and financial goals are unique, so our investment advice will be tailored to suit your specific circumstances. As your life changes, and as your portfolio grows, we will adjust our strategies to meet your changing need. After an analysis of a client's circumstances and objectives and a realistic look at potential risks and returns, we develop an appropriate Asset Allocation strategy to minimize risk, given the client's goal. Retirement Projections - our interactive software, shows how long your portfolio will last under various conditions � with differing distributions, and at various rates of growth and inflation. Income reports on a regular basis, and responsive, personal service at all times. Communication regarding all substantive changes to the investment strategy, asset mix and portfolio structure. 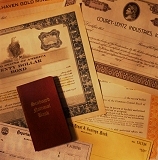 Trusts are often used to preserve capital and facilitate the transfer of wealth to later generations. Administrative Trustee Services, offered through Fidelity Personal Trust Company at a minimal cost, are designed to suit the specific needs of high-net-worth clients. Without efficient tax strategies, even the greatest investment returns can be lost. We will work with you or your CPA to maximize tax efficient investing. The criteria utilized do not guarantee gains or profits, nor is past performance a guarantee of future gains or profits. La Canada, CA Pasadena, CA Burbank, CA Glendale, CA San Marino, CA Altadena, CA Sierra Madre, CA Investments. Registered Investment Advisor. Portfolio Manager. Money Manager. Bond Manager. Investment Manager. Money Manager.